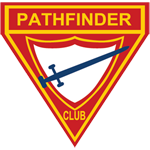 Pathfinders is an activity based organization especially designed for the 10-15 year olds. It is an international uniformed organization that is sponsored by the local Seventh-day Adventist churches. The local Pathfinder Club program is operated by trained volunteers. Opportunity to develop self worth in a fun, safe and caring environment. Appreciation of Christian spiritually and its role in personal lifestyle. Development of leadership and positive group skills teamwork and fun problem solving experiences. Experiencing and developing skills in outdoor and environmental issues through practical camping, hiking, nature study and other outdoor adventure activities. Awareness of the satisfaction of serving others and understanding the opportunities of community needs. Encouraging a good healthy lifestyle that says no to any drugs or any other harmful substances. This is the latest Pathfinder curriculum and is based on the concept of activity based learning theory, that the best learning is in the debriefing of the activity that the Pathfinders have just gone through. The program has its own unique language explaining each of the features but the Pathfinders are still invested for each badge according to their age group. The learning takes place in the process of debriefing and journaling that happens after each activity. That children have the opportunity to develop a relationship with God and experience personal growth and wilderness opportunities in a supported environment.